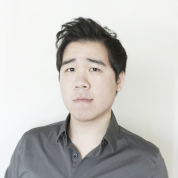 Alan Sien Wei Hshieh is a UI/UX designer, software engineer, and cognitive scientist based in California. He is currently UI Engineer and Designer at Apple Inc., where he focuses on internet technologies. Hshieh hopes to use cognitive science to create human interfaces that better global communication and increase access to information. Prior to joining Apple, Hshieh worked at Google, where he developed and designed Android applications and contributed to Google ATAP. He also participated in MAKEwithMOTO, an ATAP initiative which hosted hackathons with IOIO-equipped phones, 3D printers, and a Velcro-covered truck with university students and makers across the United States. Hshieh graduated from the Symbolic Systems Program at Stanford University with a specialization in cross-cultural human interfaces. He also acted as a human-computer interaction consultant to Harvard University and participated in 500 Startups’ second class as UI/UX Product Manager for Snapette Inc. In his wind-surfing time, Hshieh enjoys traveling, learning languages, and beat-boxing.